This Korg ARP Odyssey Mini in Black & Orange recreates the seventies ARP Odyssey MkIII model, one of the best and most legenda.. 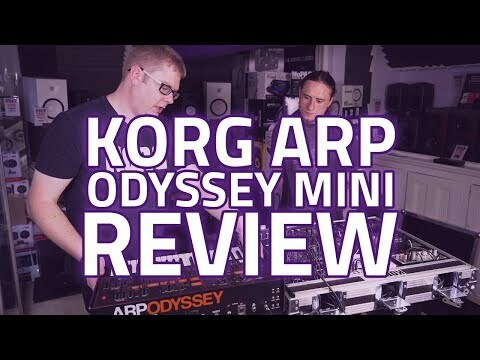 This Korg ARP Odyssey Mini in Black & Orange recreates the seventies ARP Odyssey MkIII model, one of the best and most legendary analogue synths ever built. For the players who are tired of digital emulations, this is the real deal - a very tweakable, "organic" sounding synth that's been used in all fields of popular music, from rock'n'roll to soul, funk and electronica. This new version is slightly more compact, at 86% the size of the original. It also includes a few modern features such as MIDI and USB connections, but the distinctive synthesis of the ARP Odyssey has been reproduced from the circuit level up. 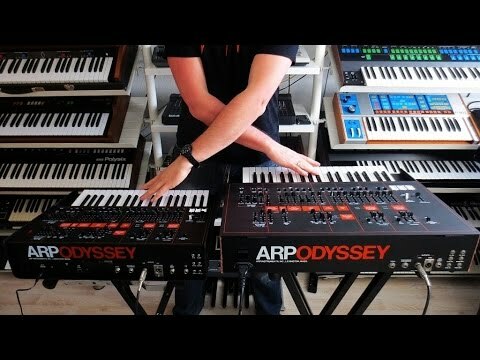 The original ARP Odyssey was an analog synthesizer originally produced in 1972 by the American manufacturer ARP Instruments, Inc. that quickly garnered a faithful following among musicians, from Jimmy Page to Herbie Hancock, amongst many others. Now, the legendary synth is BACK, and better than ever! Well respected for its high value, ease to play and portability, the ARP Odyssey had undergone several improvements during its history and continued to be a long-seller until manufacturing stopped in 1981 due to economic hardships and the digital surge. Loved by a wide range of musicians as a historical classic, its sound can be heard on numerous classic songs. Now in 2015, Korg has brought back the ARP Odyssey for today. Read our ARP Odyssey Article for more info on its history. With the advisory assistance of David Friend, the co-founder of ARP Instruments, Korg has completely reproduced the original circuitry for artists looking to recreate classic sounds and explore new ones. Together the engineers at Korg and ARP were able to nail the sound and feel of the original. Every detail has been carefully considered to stay true to the quality of the original, down to the sophisticated semi-hard case. The legendary ARP sound is loved to this day. Long stopped, the wheels of history have again begun to move. The original ARP Odyssey was a 2-VCO duo-phonic instrument. Its most distinctive feature was its sharp, penetrating sound and its rich range of tonal variation. With a variety of functions and modulation possibilities provided by oscillator sync, sample & hold, pulse width modulation, high-pass filter, two types of envelope generator, and pitch bend using the PPC, it was able to create a versatile range of sounds. Broadly speaking, there were three versions of the original ARP Odyssey, divided by the date of production, with the major difference being the filter circuit. The new ARP Odyssey provides all three of these different filter circuits, and allows you to select one of them with a single switch. 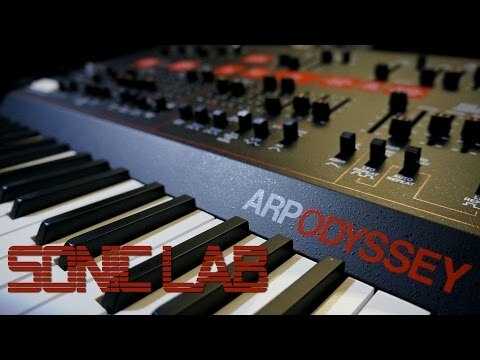 The ARP Odyssey has been downsized to 86% of the original ARP Odyssey. Carefully selected parts are used in the familiar slider section, providing an operating feel that's even smoother than the original. The keyboard uses a 37-note slim keyboard that features lighter weight and excellent playability. While making the instrument more compact and easier to use, we have also paid attention to ensuring that the mini-keyboard is uncompromisingly "playable." Although the keyboard has 37 keys, the transpose function lets it cover a broad range of seven octaves. The connectors provided on the original ARP Odyssey differed by production date, but based on Rev3 of the original, the ARP Odyssey brings the specifications up to a modern standard. In addition to a MIDI IN connector and USB-MIDI port, Korg added a headphone jack with adjustable volume. The XLR output jacks which had been unbalanced have been changed to noise-resistant balanced outputs.